Claire grew up on a farm in the middle of nowhere in southern Michigan. Teffola started from necessity. Dwindling crop prices put her Michigan family farm at risk and her father had to adapt. So he started growing teff – a tiny ancient grain from Ethiopia with mighty amounts of protein and iron. Claire added the teff to high quality ingredients, sweetened it with maple syrup and Teffola Nutty Granola by Tenera Grains was born. What people love about Teffola is the hearty and rich taste due to the variety of ingredients. There’s no one flavor that dominates – no sickeningly sweet or artificial fruit tasting flavor. There is maple syrup in Teffola, but it’s not just maple syrup that you taste. The nuttiness of teff blends with the almonds, walnuts and buckwheat. Then the pumpkin and sunflower seeds come through with a hint of coconut highlighted by the coconut oil. Finally, the perfect balance of sweetness from maple syrup and tartness from dried cranberries comes through leaving you digging in for your next bite. Teffola Nutty Granola crumbles perfectly into a bowl of yogurt and berries. It adds crunch to a steaming bowl of oatmeal and when those mid afternoon munchies hit, is perfectly satisfying on its own. When you open a bag of Teffola, you’ll be able to smell how fresh it is. The Teffola is packaged as soon as it cools. Tenera Grains believes a shorter shelf life makes kind of food taste better and is better for you when it’s fresh. She is not interested in granola that has a shelf life of one year to maximize profits. And she is really not interested in dry stale granola with only a handful of ingredients. The date that the Teffola was baked is stamped right onto the package. Breakfast lovers deserve a tasty, healthy, and fresh granola and Teffola delivers all three. Can your old granola say that? 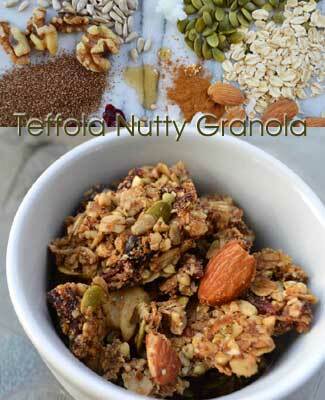 Why choose Teffola Nutty Granola? Keeps you full – All the complex carbohydrates and healthy fats will keep you charged up for the day. No midday snack needed. Keeps you regular – Teffola will keep you on schedule. You might say it works better than coffee. Sustainable – All 12 of our ingredients are sourced from Michigan suppliers. Tenera Grains is proud to be plant based in the Mitten State. 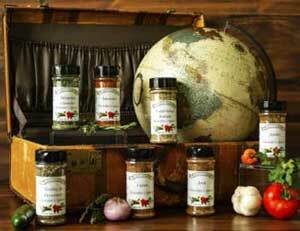 Lesley Elizabeth – the best Spices and Seasonings you’ll find! 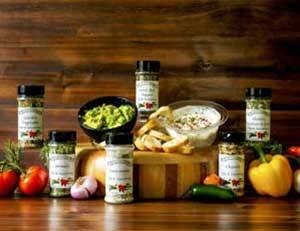 Lesley Elizabeth Seasonings, Spice, and Dips include more than 40 varieties of versatile seasoning blends to enhance any food with gourmet flavor. 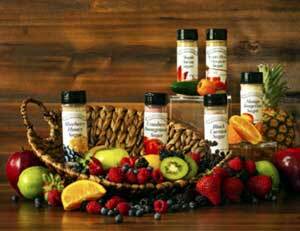 The seasonings, spices, dip mixes, rubs, pesto, seasoned salts, savory sugars, and fruit sugars offer quick and healthy seasoning options for all your gourmet cooking needs! All products are certified kosher by Kosher Michigan and are all-natural. 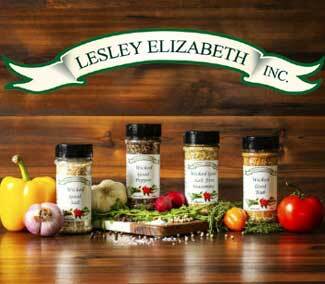 Lesley Elizabeth in Lapeer, Michigan has over 20,000 square feet of manufacturing space and employs a workforce who faithfully reproduces the original recipes to her exacting quality standards. They are in the business to serve you, our customers, with the highest quality product in the industry. Their commitment to personal customer service is paramount. Named for the founder, Lesley Elizabeth (a.k.a. Lizzie), whose love of cooking created this company’s legacy of flavor. Born in Northern England, Lizzie’s first memory of food was helping her grandmother shell peas while the family faced food shortages. After the war, her family traveled in the summer to the Mediterranean Coast in the South of France. Even today, Lizzie tells the story, with eyes sparkling, of her childhood summers- air laden with rosemary and lavender and delicious family meals featuring savory pasta and rice. Her love of nurturing people through healthy and flavorful food led Lesley Elizabeth to develop recipes that were quick and delicious. 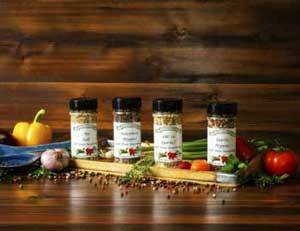 She founded the Lesley Elizabeth Inc in 1991 to offer custom blended seasonings, spices, pesto, and dip mixes to people longing for flavor without hours of chopping and prep work in the kitchen. 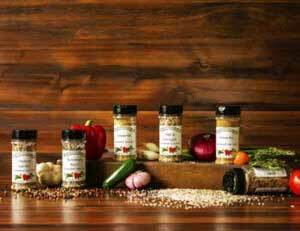 Lizzy continues to develop new products, blending ingredients from her original imagination, extensive cooking experience and exotic travel. 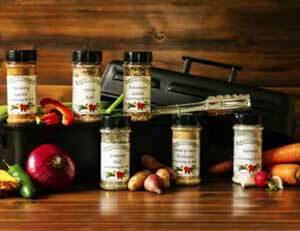 Buy Lesley Elizabeth Seasonings The Best Spices and Seasonings You'll Find! Not only functional, these Ceramic Michigan Mugs with awesome Michigan designs make great conversation pieces as well as gifts for the camping enthusiasts or Michigander. The LOVE Michigan and Michigan Roots designs are sandblasted into the ceramic of each mug which means they are not only permanent but also dishwasher and microwave safe. No need to worry about the handle getting hot! The artisan personally tests all of the ceramic terracotta mugs to ensure that each handle is cool when it comes out of the microwave. 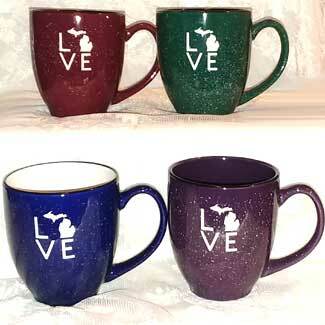 The Campfire LOVE Michigan Mug is available in Burgundy, Green, Cobalt Blue, and Plum. The LOVE Michigan Campfire Mugs measure 4.25 inches tall and 3 5/8 inches wide with 15 ounce capacity. The terracotta Michigan Roots Mug is a flower pot looking coffee mug accented with a Michigan Roots design. This 14 ounce Michigan Roots Mugs measure 4.5 inches tall and 3 3/4 inches wide. 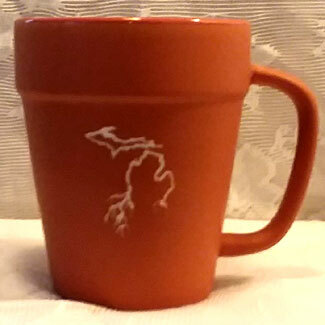 These Ceramic Michigan Mugs are handcrafted by Creations by Kelstar. The engraved ornaments make a unique gift to be cherished for many years. Each acrylic ornament is 1/4 inch thick and measures approximately 3 inches. 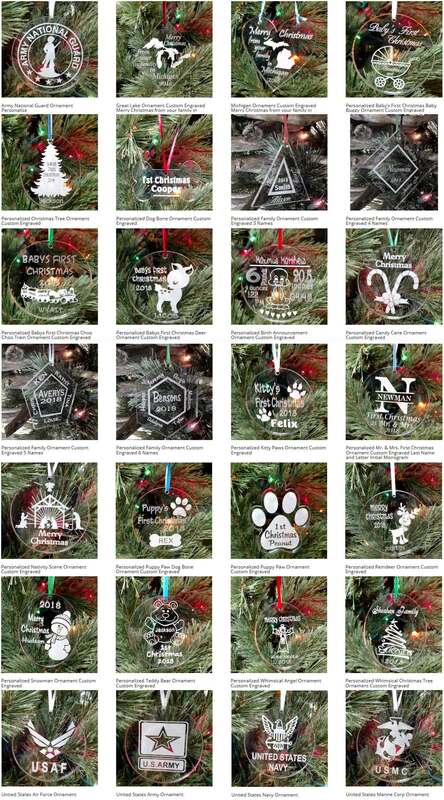 Choose from our wide selection of ornaments, including designs for kids, couples, families, pets and loving memories for the perfect match to accent your Christmas decor. The Michigan themed ornaments are very popular, especially for those away from home. 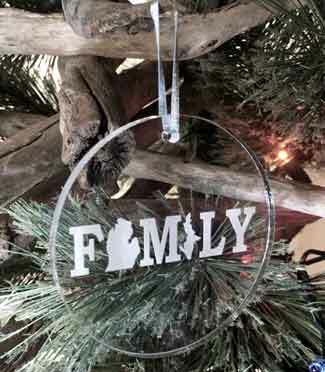 There’s no place like home for the holidays, but if your loved one can’t be home….they sure would love the the “Merry Christmas from your family in Michigan” ornament. Most of the acrylic ornaments are available in 4 different shapes including round, oval, diamond, and heart shape. Personalize your unique ornament with the additional text, name, and/or year option that is available for most of the engraved ornaments. Option for choice of font is also available. You can also create a custom ornament with your own artwork and/or text to give as a gift to your family and friends and remind them of years gone by. Each Christmas ornament includes a ribbon to easily hang on a Christmas tree or an ornament stand. Personalize an ornament for every member of your family and start building a collection of cherished holiday memories! Helping Handles Transfer Belt is the most innovative patient assistance device since the Gait™ belt. It revolutionizes fall prevention, transferring, and ambulation assistance. This transfer belt increases stability and confidence by giving the caregiver and patient helping handles to hold onto. Helping Handles ergonomically correct harness helps to avoid back injuries by keeping your back straight while helping the patient to stand or when lifting a person up off the floor or bed. This device can also be utilized as a vital piece of emergency equipment as well as a physical therapy tool for stretching, isometric and resistance training. The Helping Handles Transfer Belt is made with 600 pound nylon webbing and mid durometer PVC handles. With easy to grip ergonomically designed handles, it is completely adjustable and machine washable. This ambulatory aid is used to mobilize and move patients and assist with walking, transferring, and handling fall risk patients. Helping Handles makes transferring, ambulating, lifting, and repositioning easier and more controlled. 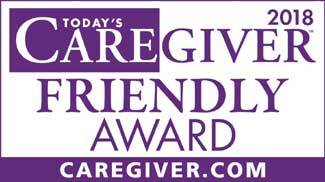 It has the potential to eliminate scratches and lacerations to the caregiver from the person being assisted because they had nothing to hold on to. By placing a second Helping Handles harness under the arms or buttocks of the patient, the caregiver has a better, more ergonomic lifting position providing more stability and security to the person being assisted. When used properly, the Helping Handles Transfer Belt can help prevent caregiver back injuries while providing stability to the person being assisted. This will drastically help in the battle against falls in the patients facility or home. 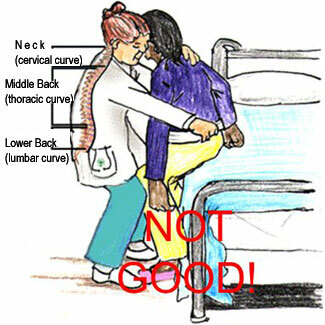 Using a regular gait belt to lift all or most of a patient’s body weight is not an acceptable practice. Belts that are too wide may affect a patient’s ability to lean forward. Narrow, unpadded belts may dig into the patient’s waist. Gait belts without handles encourage the caregiver to grip the belt with a clenched fist. This generally causes the knuckles to press into the patient’s side, resulting in discomfort. 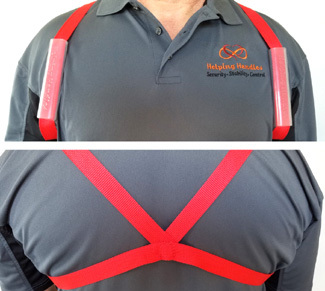 Every EMT, nurse, physical therapist, and caregiver should have a Helping Handles Harness Transfer Belt for ease of lifting and provide confidence for the patient. Northern Nail Polish founder, KC Springberg spends her days happily stirring up bottles of 10-Toxin-Free Nail Polish that glimmers, shimmers and shines. The Traverse City, Michigan resident began making her own nail polish in 2012 when she learned about exposure to chemicals like endocrine disrupters and carcinogens that are found in many store-bought polishes. She loved painting her nails too much to quit and wondered if there were other options. After experimenting with formulas, she finally found a formula that was 10-toxin-free, which means it doesn’t have the seven toxins found in store bought polishes like toluene, dibutyl phthalate (DBP), and formaldehyde. KC focused on producing glitter nail polishes. To her it was all about holographic, shimmery and sparkly because that’s what she liked. But people asked for more matte colors so she made a whole line of that too. The solid colors were added in 2017 with many of them inspired by the natural beauty of Northern Michigan and the people, places and things that exemplify the Great Lakes state. With nail polish names like Petoskey Stone, Beach Glass, Great Lakes State of Mind, Hand As Your Map, Michigander, Lake Superior Agate, Northern Lights, and Pure Michigan….those are some of the best seller polishes. Women of all ages, from kids who love the neons to working women who are looking for something subtler, love Northern Nail Polish and wear them with the confidence of knowing they are 10-toxin free. The bottles come with the cute turquoise Michigan logo on the front, and the names of the shades are visible from the top of each bottle’s cap. So what is 10-Toxin-Free Nail Polish? That means that all of the nail polishes are not only made without the 3 common chemicals found in nail polishes (Toluene, Dibutyl Phthalate (DBP), Formaldehyde), but also without 7 other very dangerous chemicals (Formaldehyde Resin, Camphor, TPHP, Ethyl Tosylamide, Parabens, Phthalates, and Xylene). Northern Nail Polishes are FREE of these TEN chemicals. You should never have to sacrifice health for beauty. Northern Nail Polish uses the most natural, vegan ingredients known to form a long lasting, chip resistant nail polish that can be easily removed by regular polish remover. And, because Northern Nail Polish uses natural mica as the colorant to the nail polish, you don’t have to worry about stains being left on your nails or any animal derived ingredients in the nail polishes. Northern Nail Polish has something for everyone – the crazy colors for people who like to be out of the box and polish for women who work in an office and just want something sheer such as ‘Barely There,’ which is a nice neutral pink and that one flies off the shelf. There’s even a base coat, a top coat, and a ridge filling coat. People buy it first because of the toxic free formula, and the name or the color. 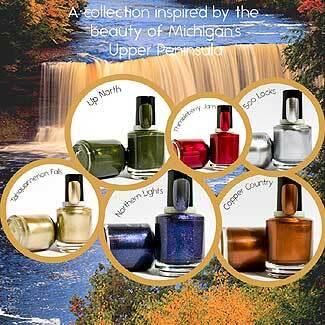 But then they keep coming back because they love the quality and the beauty of Northern Nail Polish. Sheryl is a home-crafter that has a lot of fun crafting useful items for sale. The Microwave Bowl Holder (aka Cozy) is very useful in the kitchen when heating food in the microwave. Simply put the entire bowl filled with food in the bowl holder. Put it into the microwave and when done you won’t burn your hands on a hot dish again! No need to grab a towel, a messy hot pad or oven glove. Simply grab it’s “ears” and lift out as one piece. They are also great for that cold bowl of ice cream in front of the TV! No more cold hands! Cereal anyone? Your bowl holder is a convenient cradle for that bowl too! There’s even a size for that plate of hot food heated up in the microwave. The cozies are made with 100% cotton materials so they are microwave safe! These reversible microwave cozies have a variety of fun, cute, themed fabrics to choose from. The Detroit Lions, Detroit Tigers, Detroit Red Wings, Michigan State, and Michigan Microwave Bowl Holders are perfect for game day! They are available in three sizes and plate size too so grab a set in all three sizes! 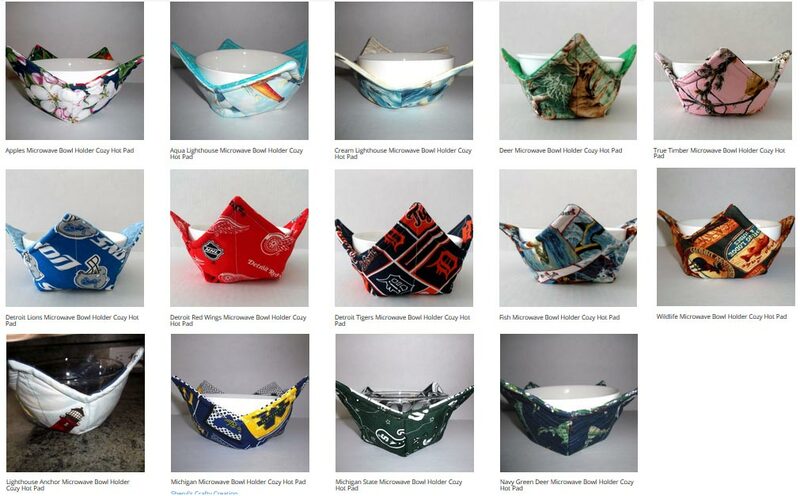 The Microwave Bowl Holders make great gifts – especially a housewarming gift! They can also be used as a decorative bowl on a bathroom counter to keep items such as hair ties, bobby pins, and ribbons to keep things neat and tidy. Insert a round plastic dish in the bottom and they can be used to hold your household plants! The uses are endless! 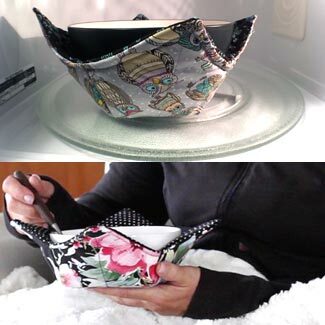 You’ll wonder how you ever lived without a Microwave Bowl Holder Cozy! 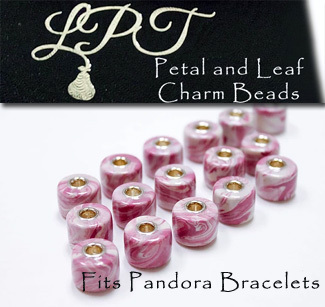 Leaf and Petal Charm Beads by Lil Pear Tree is one of the hottest ideas in memory and floral preservation. Each bead is handcrafted on sight using real pieces of floral and botanical matter from memorable places and events. The beads are filled with Michigan Cherry Blossoms petals and Northern Michigan Autumn Oak leaves. Because these Leaf and Petal Charm Beads are great for everyday wear, they make a perfect wearable memory of our Great State! Lil’ Pear Tree is located in the beautiful town of Midland, Michigan known as the town of Modern Explorers and is home to The Dow Chemical Company. Midland prides itself on being thoughtful, innovative and boldly creative and so does Lil’ Pear Tree! Established in October 1973, Main street has seen many changes throughout the years. Many of the shops from the 1970’s have come and gone, yet with each passing year Lil’ Pear Tree keeps growing and thriving. Lil’ Pear Tree continues to change with the times. In 2013, the Lil’ Pear offerings were expanded to include cutting edge floral preservation options such as freeze drying and flower petal jewelry services. Through the unique process of freeze dry floral preservation, Lil’ Pear Tree transform flowers into Pandora style charm beads. The team creates each bead with the highest attention to detail and care. Each charm bead is one of a kind because the nature of the bead changes due to the process. The charm beads will be similar in color but just like blossoms, no two are ever exactly alike! With a .925 sterling silver grommet, each bead is heirloom quality designed to last a life time. With Mens Body Wash by Nina Marie Skincare you get all natural high-end grooming that is simple, safe, and effective. This body wash is responsibly sourced plant-derived skincare that is never tested on animals and is also amazing for you. It’s that good. Sustainability is a concern and action item for Nina Marie Skincare. They strive to create sustainable products by utilizing natural, organic, eco-friendly, sustainably sourced materials. As you’ll see – the base ingredients include items chosen directly from nature such as Olive Oil, Coconut Oil, Almond Oil, Essential Oils, Vitamin E, and more. Discover the difference nature makes and you will notice a difference in the way you look and feel. Mansick Body Wash is an all natural, mostly organic, and additive free body wash designed for those who enjoy a more refreshing scent with their morning or evening shower. Jack Body Wash is a high-lather, earthy, and woodsy scented body wash – perfect morning and night. Voyager Body Wash was created with the journey in mind. This unique formula was crafted with hints of Natural Teak and Tobacco. The suds are heavy, the fragrance is light, and the effect is lasting. Naked Body Wash is unscented without added essential or fragrance oils for the most simple, natural, and additive free body wash. It’s Naked, just like you the day your were born. Nina Marie Skincare started with one thought in mind – you, the user – our brothers, fathers, grandfathers, uncles, and friends. They create world-class skincare products for men with the most simple, natural, and effective ingredients available.? After years of using what was “on the shelves”, “on sale”, and more commercially available soap – Nina Marie Skincare decided to create an alternative. After years of learning about the harmful effects of chemicals, additives, and toxins used in the skincare, beauty, and cosmetics industry – they decided to provide consumers a healthier and safer option. With an industry so focused on women, they decided there is a need to give men more options to take better care of the largest organ of the human body – our skin. The driving force behind their products, their core values, and their mission is the man who knows the importance of taking care of the one body he is given. Giving Is Living. Nina Marie Skincare has partnered with Detroit Rescue Mission Ministries to help give back to the community using 1% of the profits earned to help their efforts and mission in transforming the people within their community on a daily basis. Checkout Detroit Rescue Mission Ministries for additional information. Always want to write but never have time? This is the journal for you! 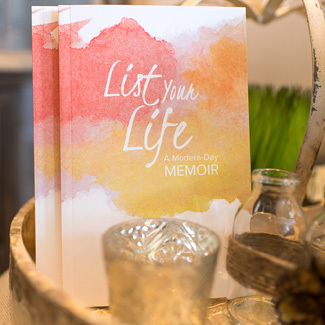 List Your Life: A Modern-Day Memoir is a new book that is a beautiful blend of journal and memoir written by Angela Berent, a Michigan author/teacher/mom, and designed by Lisa Michele Carpenter, a Michigan graphic designer. In short, quick lists of three, the reader can respond to various topics and create their own modern-day memoir! List Your Life: A Modern-Day Memoir is written in journal format under the premise that no one has time to write, but everyone has a story to tell. Together with lists that the author has written, readers will find inspirational quotes and lots of space to write – beautifully arranged among the watercolor graphics. Unconventional, for sure, but it’s just the thing for today’s fast-paced life. Many people don’t view themselves as writers. They think it’s a special skill that only others hold – yet we all have stories, and those memories are worth recording and sharing. Angela absolutely recognizes how difficult writing memories can be for someone who doesn’t view their self as a writer. That brought forth the entire focus of the project: making writing accessible, easy and pain free. Writing down all the details of all the memories would be wonderful, but it’s just not practical for a modern-day life. Instead, take a look at a topic and jot a few lines. Some days you may elaborate and lengthen your response, but many times, you’ll only have time for a list of three. And that’s enough. The List Your Life: A Modern-Day Memoir Journal will help you capture your memories and achievements. This List Your Life: A Modern-Day Memoir Journal goes beyond intimidating blank lines with topics that range from fun and light to deep and compelling – all created to invite readers to interact and record their own lists, leading them to recognize the beauty of their memories and realize their achievements. As List Your Life was percolating in my mind, I heard a very important piece of advice: Everyone should write their stories before age 55. It was a tremendous jolt to my thinking. Ralph Fletcher had long been influential on my teaching practice with his straightforward approach to writing with students – he is all about making it accessible and fun. This particular sentiment was a key to motivating me to write. With his words, the project began to take shape. I thought about my grandmother who had recently passed away, and I wished I knew more of her memories – I immediately knew that I’d missed an opportunity. I thought of my grandparents who’d been gone a long time, and I thought of how much I would have liked to have known about when they were kids, travels, their proudest moments, stories about my parents – any old thing from their lives. Age 55. Of course, I thought of my parents. At that time, they were 68 and 63, and I realized that I knew so much about them, but there were so many things still to learn. Through the lens as their little girl, the daughter they raised, I wondered about them beyond their position as parents. What of their life aside from me, my brother, our children? I distinctly remember dwelling on that side of things for a long while and growing more curious about their most important memories. But then I was really struck: What about ME? I have a hard time realizing my age sometimes. I get stuck in the daughter phase, that role of my life, and I forget I’m in my 40’s! Age 55 is surprisingly close. That thought launched me forward into this writing project. A sense of responsibility fell over me as I thought of my own sons – I wanted to share my memories. Fifty-five years old is a good point in life. Memories are fresh, health is probably pretty good, kids are likely grown (or getting there), and you have enough wisdom to know what’s behind you along with a sense of what’s to come. That other side of 55 is a bit intimidating, and getting the words on the page while life is relatively smooth makes sense. I knew that I couldn’t ask anyone to share their stories if I didn’t have the nerve to tell my own. This advice, to write before 55, propelled me forward to develop a format that would work for others to collect and share their stories. Thus, a journal of lists to make memory-collecting a little easier.